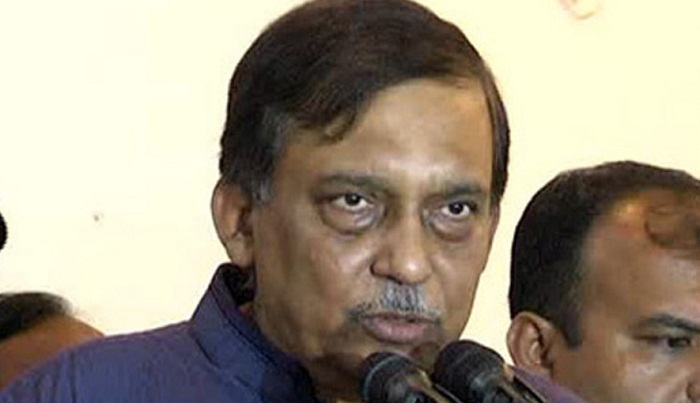 Home Minister Asaduzzaman Khan on Friday said the investigation into the killing of USAID staff Xulhaz Mannan and his friend Mahbub Tanoy has been on the right track. Xulhaz Mannan, who is an editor of lesbian-gay-bisexual-transgender (LGBT) magazine Roopbaan, and Tanoy, an activist of theatre group Loknatya Dal, were hacked to death by miscreants at an apartment in the capital’s Kalabagan area on Monday, UNB reports. “We’re on the right track…we’ll let you know this later,” he told reporters when asked about the progress of investigation into the double murder after inaugurating a showroom at Elephant Road in the city. Talking to reporters over the issue at his Dhanmondi residence earlier in the morning, Asaduzzaman said they will reveal everything after several days. Two cases -- one by Xulhaz’s elder brother Minhaz Mannan and the other by police -- were filed with Kalabagan Police Station in connection with the double murder. The cases were later transferred to the Detective Branch (DB) of Dhaka Metropolitan Police.